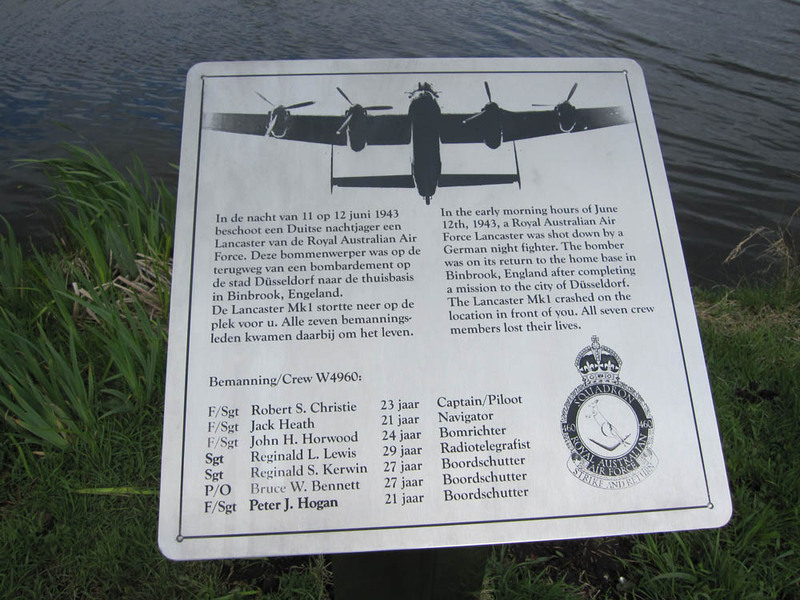 39 pictures of the unveiling of the plaque near the crashsite in Sluipwijk on may 4th, 2010. The pictures were made by Jeannette van Galen and Tim Keller. Tim has created this beautiful plaque. Click here to watch a 13 min movie about the unveiling ceremony. A short ceremony was held near the crash site of the Lancaster W4960 on may 4th, 2010. Michael and John Lewis, the sons of the late wireless operator Reginald L. Lewis, unveiled the plaque that was created by Tim Keller. Click here for a higher resolution picture.